A week-long beach clean up and audit at Freedom Island in Manila Bay has exposed the companies most responsible for plastic pollution in the critical wetland habitat and Ramsar site—one of the worst locations for plastic pollution in the Philippines. 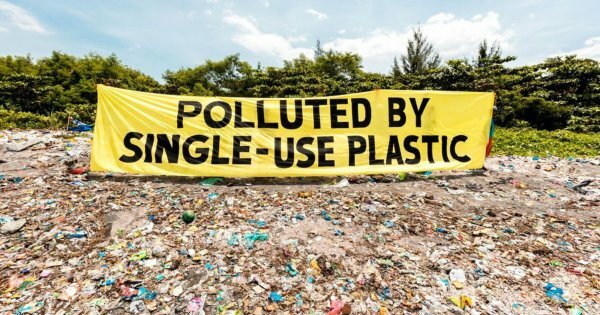 The Greenpeace Philippines and #breakfreefromplastic movement audit, the first of its kind in the country, revealed that Nestlé, Unilever and Indonesian company PT Torabika Mayora are the top three contributors of plastic waste discovered in the area, contributing to the 1.88 million metric tonnes of mismanaged plastic wastein the Philippines per year. During the clean up, Greenpeace volunteers and coalition partners from the #breakfreefromplastic movement, found items ranging from styrofoam to footwear, along with single-use plastics such as bags, plastic bottle labels and straws. A total of 54,260 pieces of plastic waste were collected during the audit, with most products being sachets. Developing countries, such as the Philippines, run on a “sachet economy,” which encourages the practice of buying fast moving consumer goods in small quantities. This drives market and profit share for most companies by making it more accessible to people with limited incomes. However, low-value single-use sachets are not collected by waste pickers and usually end up in landfills or scattered indiscriminately as litter in the streets or marine debris. ASEAN (Association of Southeast Asian Nations) countries, due to their lengthy coastlines and high plastic usage, are some of the primary sources of marine plastics globally. Asia-Pacific Economic Cooperation estimates that the cost to the tourism, fishing and shipping industries was US$1.2 billion in the region alone. 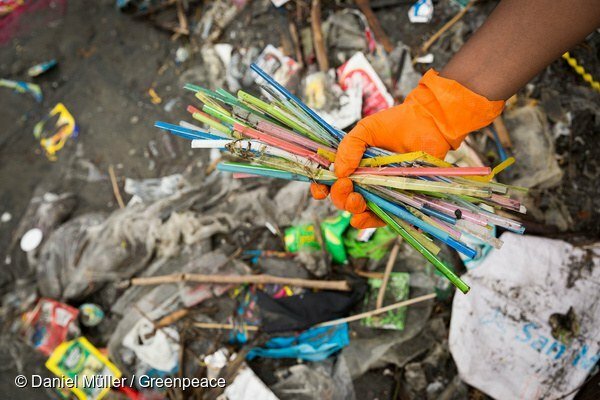 Greenpeace conducted the plastic waste brand audit as part of the #breakfreefromplastic movement alongside its member organizations Mother Earth Foundation, Ecowaste Coalition, Global Alliance for Incinerator Alternatives and Health Care without Harm.
? Getty Images Bans Photoshopped Models To Promote Body Positivity Who Is Your Plastic Bottle Harming? ?